Show us your mug and get 10p off a hot drink! Bring your own travel mug to any University-owned café to have your favourite hot drink in and we’ll knock 10p off the price, regardless of the size of your drink. And if you use your Eating at Warwick card you’ll also receive a further 10% discount. 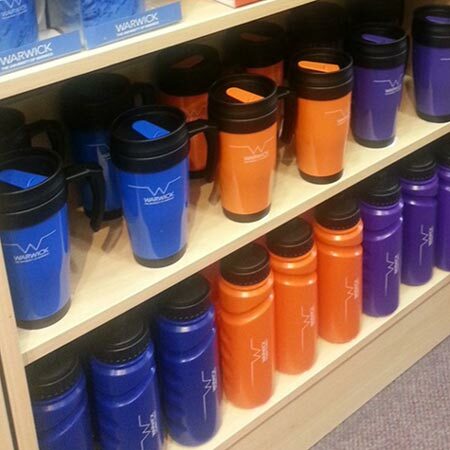 Either bring your own clean travel mug or why not buy a Warwick travel mug? Available from the Bookshop in a choice of colours.